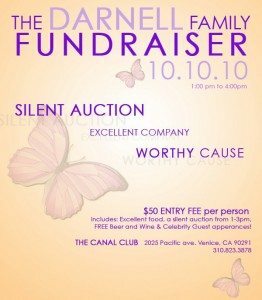 Yesterday, Sunday October 10, I attended The Darnell Family fundraiser and silent auction event that was held in Venice, California at the Canal Club for the Darnell Family. As we previously reported tragedy has stuck this family leaving the four remaining children alone with no home or income. Their loved ones and neighbors and lots of people in the city of Venice came together to insure that the fund set up for the children will help to provide sufficiently for their care. 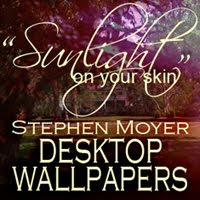 Click on each photo to see a larger view. More photos can be found in the Photo Gallery for this event. 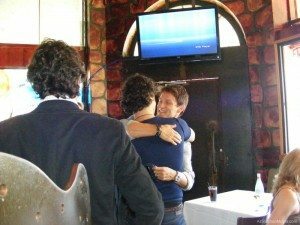 The fundraiser was brought together with the help of many from Venice and the entertainment industry. 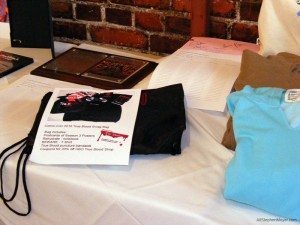 In two weeks they managed to arrange this event and get lots of items for their silent auction. 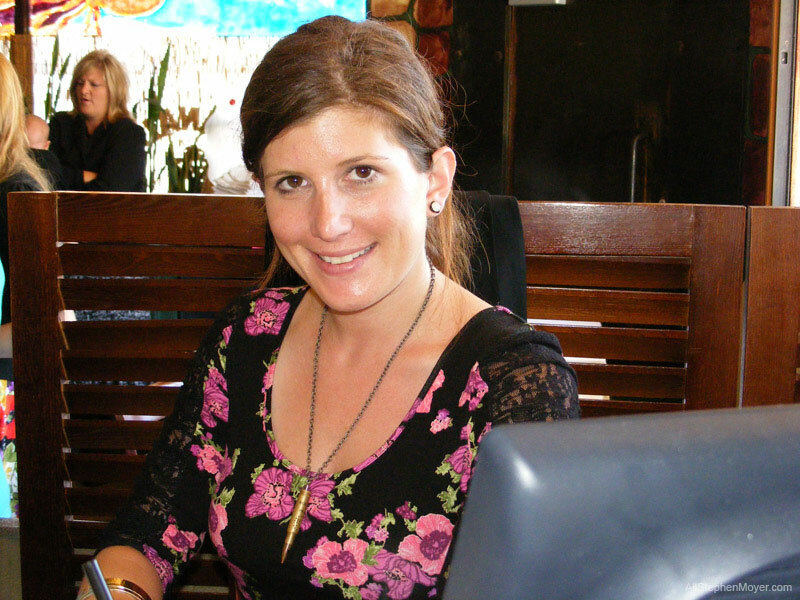 The Canal Club donated the space and Shaina Rosenblum helped to organize it. 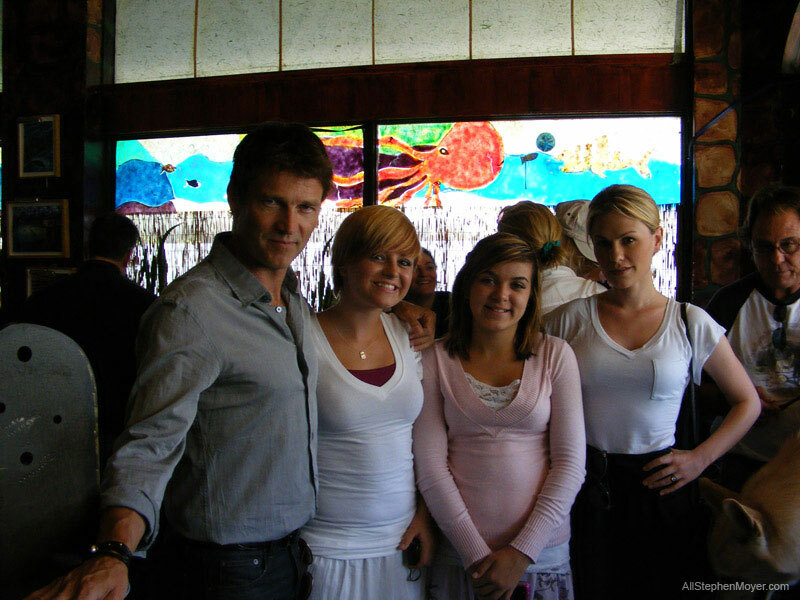 Many others helped out from the community as well, including Anna Paquin and Stephen Moyer who have donated items that are currently being offered for sale on EBay. Also scheduled in Venice was a music event fundraiser that was held later in the day. When I arrived at the Canal Club, I was early and things were still being set up. I was greeted by Shaina who helped me to display our donation. Many of the items were laid out on the tables in a room set aside for the silent auction. 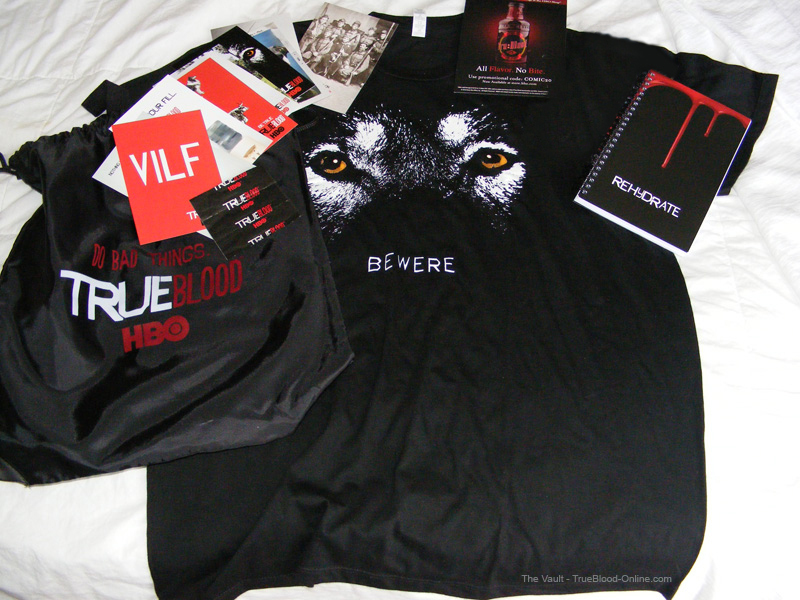 I had told her, the day before that The Vault would donate a 2010 Comic Con Swag Bag and she put it on the same table as a True Blood Script signed by Anna Paquin, Stephen Moyer and Alan Ball. There were many items from celebrities. Just to name a fiew, there was a Blu-ray of Clockwork Orange signed by Malcolm MacDowell, a hard bound copy of a Full Metal Jacket script signed by Matthew Modine. 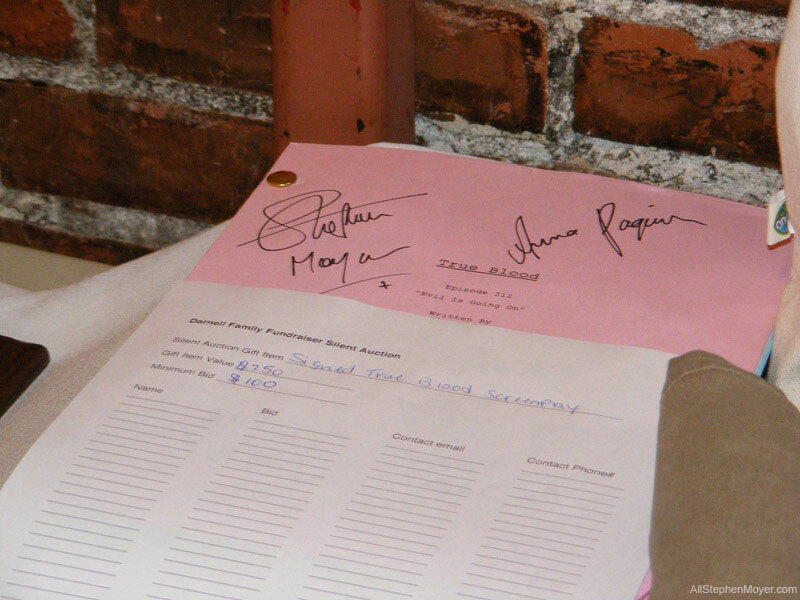 There were also the traditional, bottles of wine, facials, floral arrangements, art work, jewelry, etc., but other than the True Blood articles, the one that interested me the most was Stuart Copeland’s drum lid that was signed by him. Once the items were set up, we waited for the event to begin. As they slowly arrived, the room began to fill up. 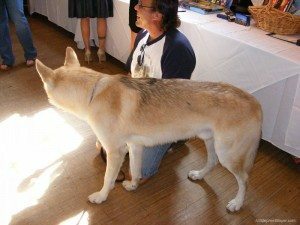 Then, I noticed that there was a large, what I at first thought was a dog, in the room, but it was a wolf. 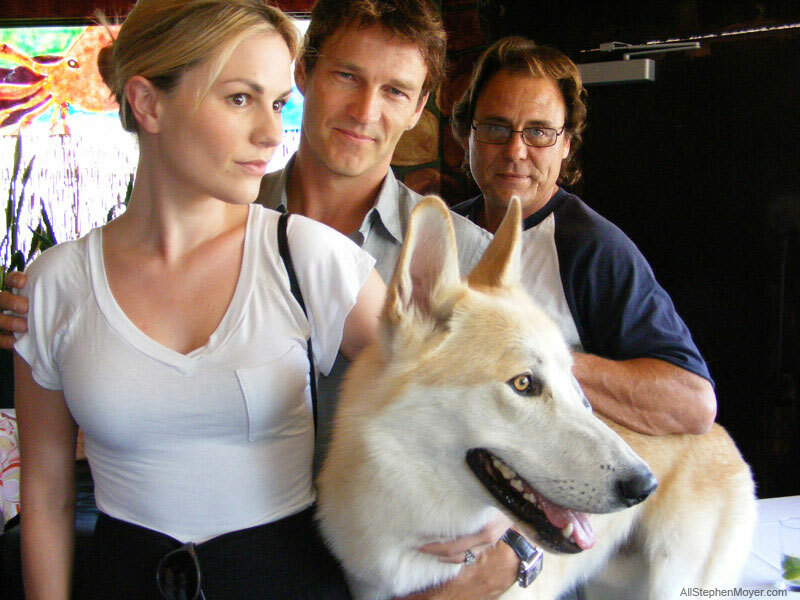 Of course, I immediately assumed it was from True Blood since Stephen Moyer would be attending this event, however, it turned out that it was an Alaskan Timberland Wolf named, Dakota which was raised by Paul and Colette of Shadowland Foundation. They are trying to save this particular species of wolf and he certainly was beautiful. Paul and Colette are friends of the family. Then after a short while, there were words said about the Darnell family and then we looked at a slide presentation depicting photos of the family. This was for everyone, but especially the family members who attended, the most difficult part of the afternoon. Shortly after the end of the slide show, I noticed some more people arriving. 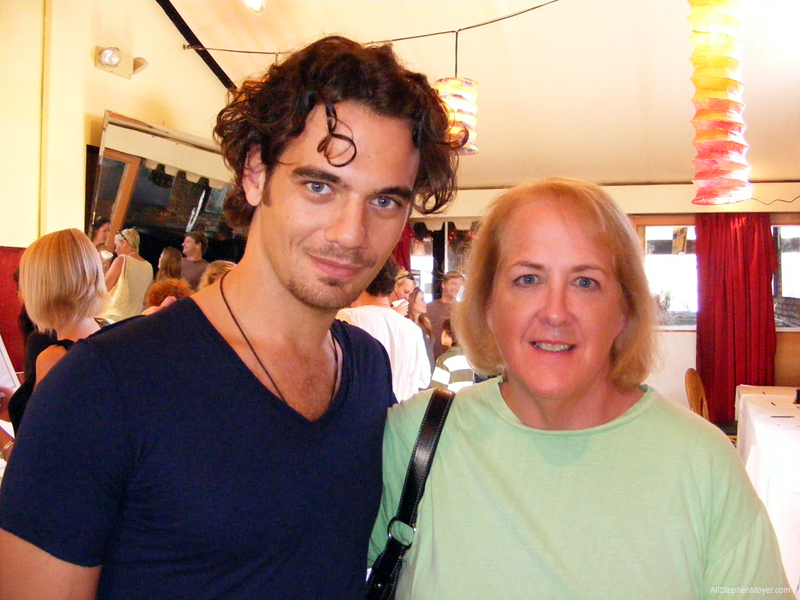 I was surprised when one of them turned out to be True Blood’s Theo Alexander who had just walked in with a friend. He strolled around and started looking at the items up for auction. I went up to him asking if I could take his photo and his friend suggested that we could take one together. I told him how much we loved his portrayal of Talbot and hope to see him back in "flashbacks" on True Blood. At this point everyone was eating and silently bidding on the auction items when I noticed that in the bar side of the club there was Anna Paquin and Stephen Moyer. They had just arrived and were greeting everyone and saying hello to the Darnell children. When I walked into that part of the club, Stephen looked up and immediately noticed me. I had told him I would be attending and had asked if he and Anna would sign our donated “swag bag” when they came. Before Stephen had a chance to come over to me, Theo Alexander went up to him and Stephen gave him a big hug. Anna and Stephen spoke to him for a short time. After several minutes of greeting and speaking to the hosts and others in the room, Stephen came up to me. He gave me his usual hug and kiss on the cheek, always appreciated and started making some suggestions for photos that could help. He and Anna posed for photos with two of the Darnell children, Rachel and Olivia and with the Wolf, as seen in the photos below. two of the four surviving children of the Darnell family. pose with the Alaskan Timberland Wolf, Dakota who was a guest at the event. After taking photos he and Anna came over to the auction area with me to see what was on display, sign the swag bag and to look at the script they had donated. The script was later taken off the table and was to be put on EBay hoping to get a greater yield to help the family. They chatted with me for quite awhile. We discussed the recent fundraiser “The Battle of the Fang” and our fundraiser, “The Stephen Moyer Kids Theater Fundraiser". Stephen is very pleased with the fund raisers. We discussed lots of things like the fake Anna Paquin’s out there and Stephen's upcoming movie roles. He said that he is waiting to hear about when the filming of The Big Valley will begin, which has been postponed several times due to lack of funding. He hopes The Caller and The Double will be out soon. He said he has heard good things about The Double. He doesn’t know about Ice, either. I said, "we need to see you in a new film!" He agreed. It certainly isn't because he hasn't tried. Believe it or not, he and Anna haven’t yet seen Andrew Paquin's film in which they appeared, Open House. I couldn’t believe it, but they said it’s true. They want to see it though and will soon, I’m sure. I'd be glad to share my Blu-Ray with them. I asked if they would be attending the Scream Awards, but they weren't sure about it. After almost an hour, but what seemed like seconds to me, I said goodbye to Anna and Stephen. More photos can be found in the Photo Gallery for this event. All the money that was raised today, the money from the EBay auctions and at the concert will go to help the remaining four Darnell children who very much need financial support. Truly this is a worthy cause that I was glad to support. 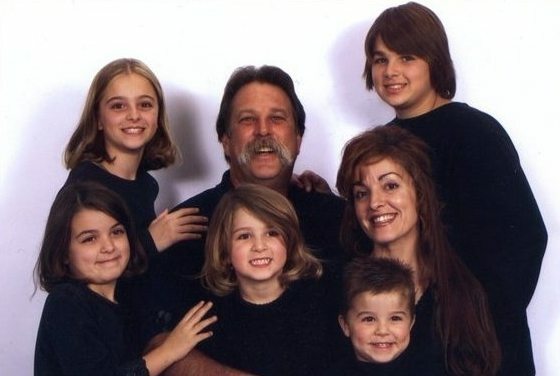 Please donate to help this lovely family! 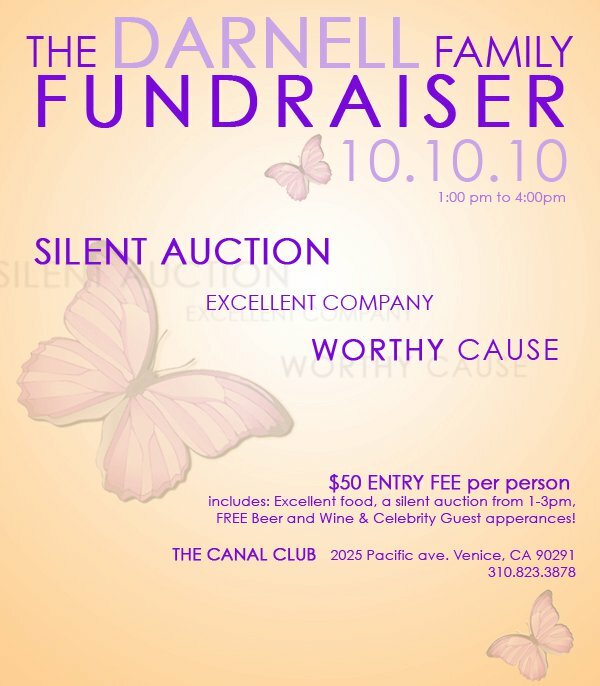 For more information and PayPal donations visit the Darnell Memorial Fund Facebook page. This page is also accessible for non-Facebook members.